Our contributor, Allison Kelleher of AK Cake Design, is back with a gorgeous new design and a tutorial too! 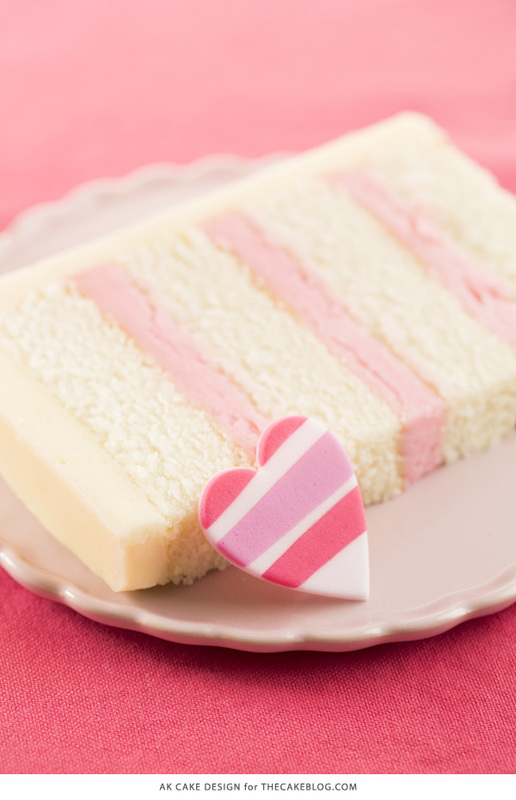 For this cake, I was inspired by these pretty pink ribbons. 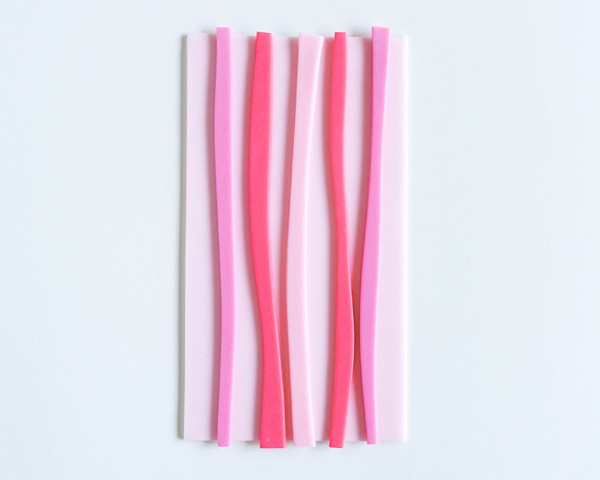 I really loved the different shades of pink and the bright, cheery feel of the ribbons – they just made me happy. 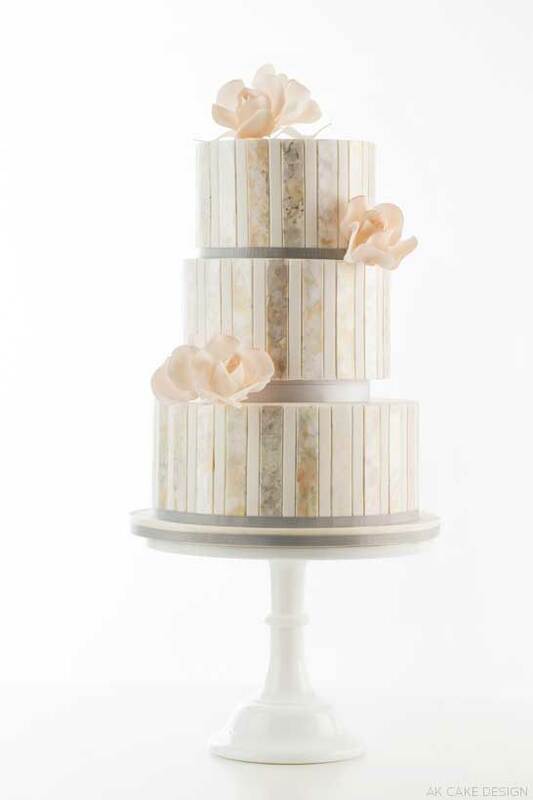 I used my embedded stripes technique to create the design – the same technique I used in my black and white cake, created for the 2015 Wedding Cake Preview. 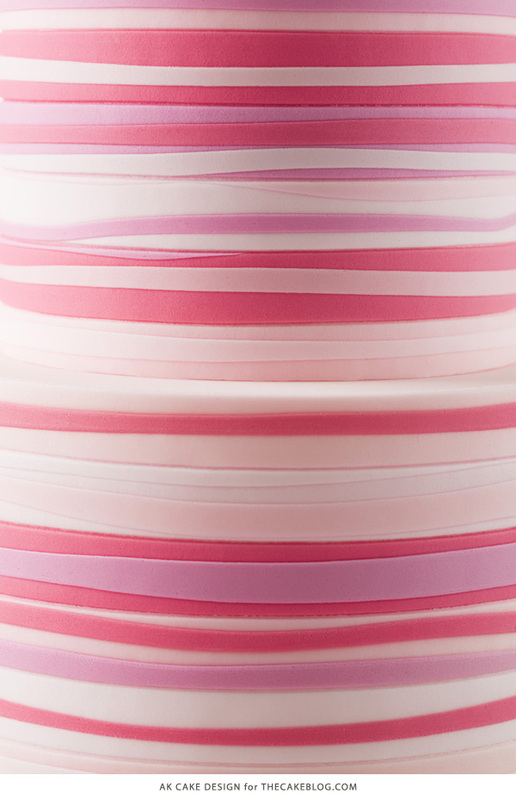 The stripes are purposefully wonky (and this time only slightly embedded) to give the cake an organic feel – like it’s wrapped in ribbon. 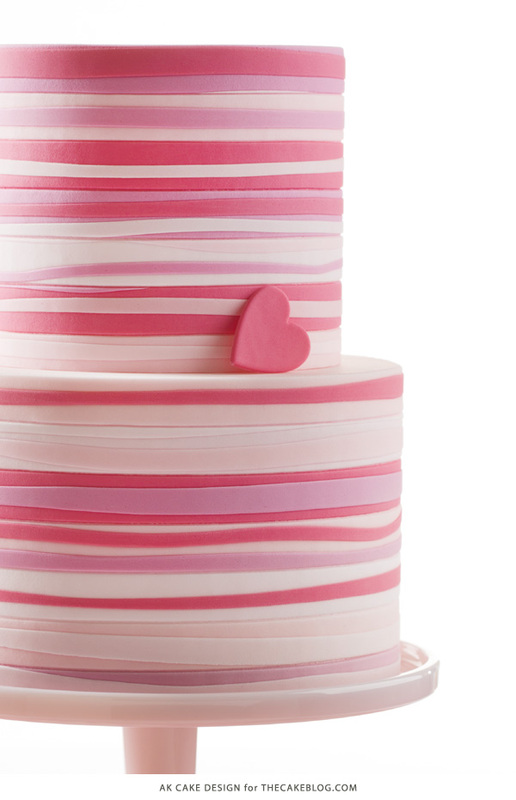 Although this cake is pink, it’s not overtly ‘Valentines’ – which makes it a great design for lots of occasions. You could dress it up with a heart topper or make it for a baby shower or birthday party. You can also easily change the entire look simply by changing the color palette. But for now, let’s keep it pink. It’s sweet and pretty – and, well, it’s Valentine’s Day. 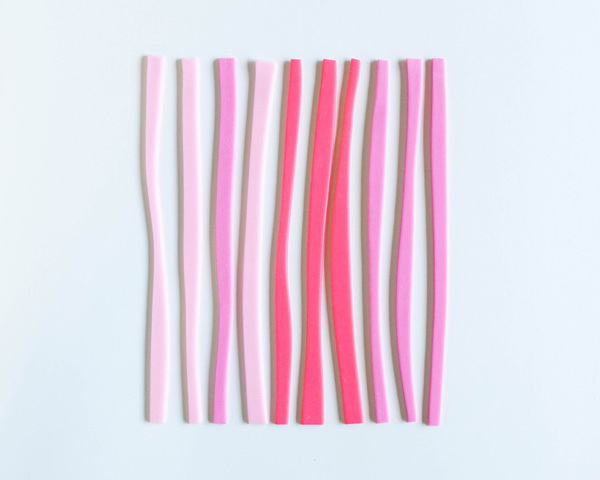 If you don’t want to make a full-out striped cake, here’s a simple way to make a bold impact: create striped cutouts to decorate your cakes, cupcakes and cookies. 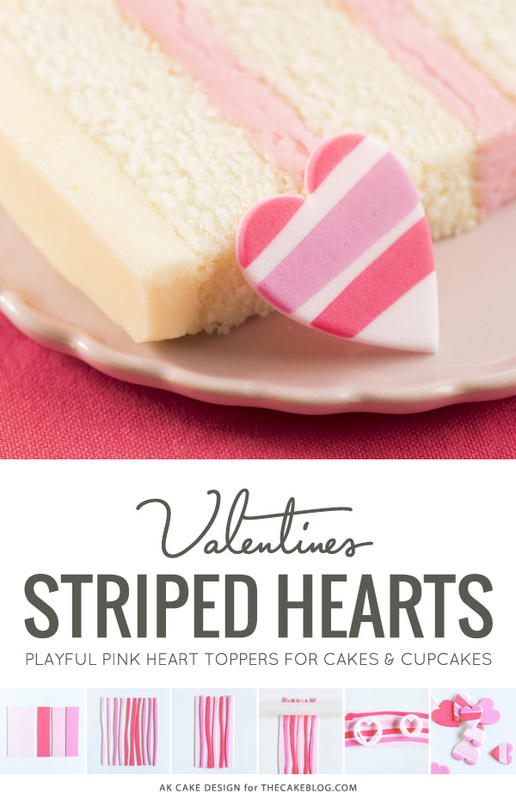 Let me show you how to make pink striped hearts! 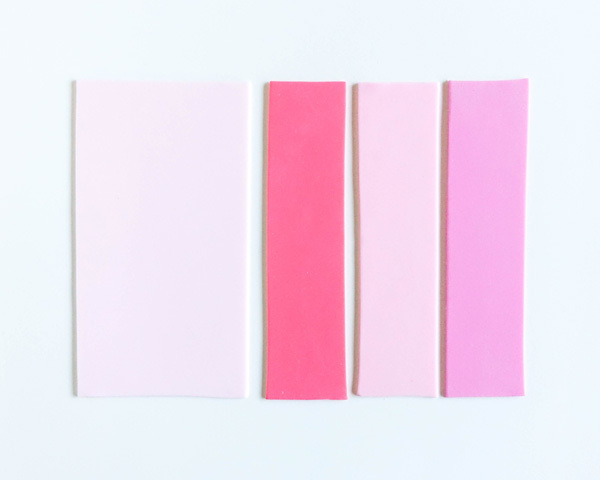 Roll out strips of fondant in varying shades of pink. Be sure to make one strip a bit wider than the others – this will be your base piece. Then use a pizza cutter to create narrower stripes (but keep your base piece intact). Feel free to cut wavy stripes like I did or use a ruler to make them straight and uniform. Apply a little bit of shortening onto the backs of the stripes and attach them to your base piece. Gently roll the fondant to embed the stripes into the base. 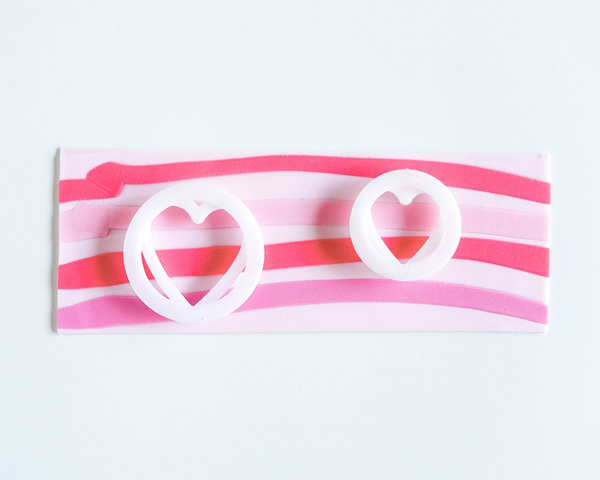 Using a heart-shaped cutter, cut out your striped hearts. 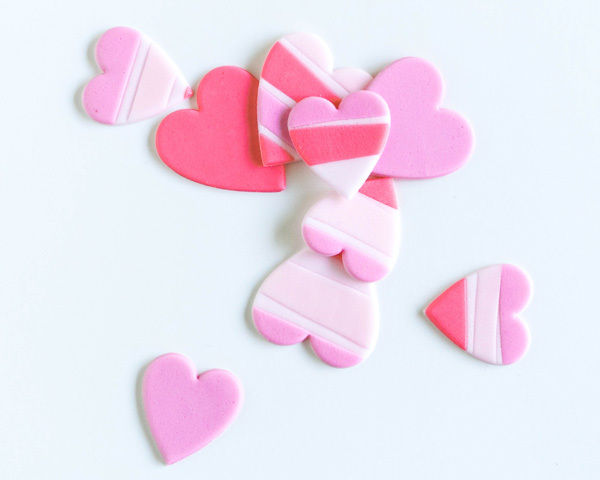 Lay hearts on parchment paper or wax paper to dry. 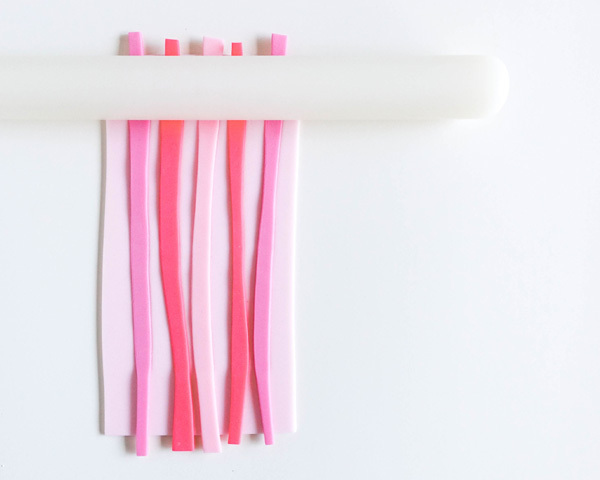 Once firm, use to decorate your cakes, cupcakes, and cookies! 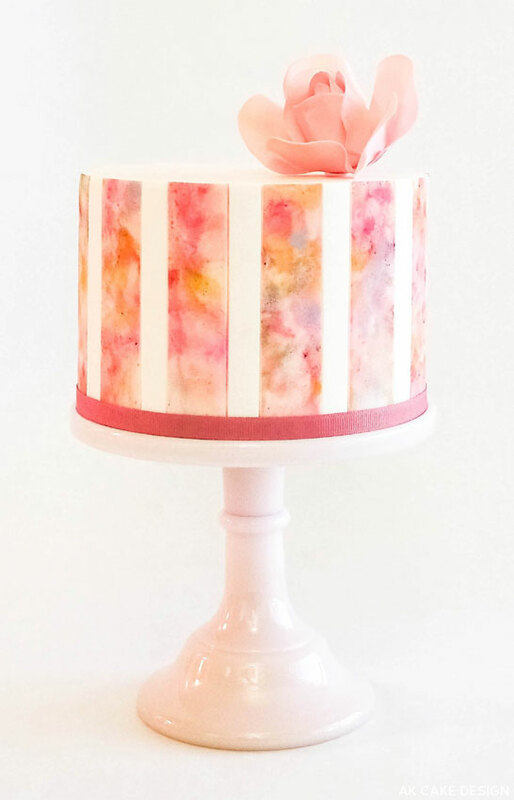 Now, hop back and check out my pink Watercolor Cake Tutorial. You may also like my Metallic Watercolor Cake. And my Purple Striped Cake. What a beautiful cake. Excellent tutorial. By any chance does she share her cake recipe?? It looks absolutely perfect on the inside too. You can also find lots of great cake recipes in our Recipe Section, which includes recipes from cookbook authors, baking bloggers and more! Enjoy! This is absolutely stunning! Simply beautiful! The design is simply stunning and so is the cake. Can I get the cake recipe? Pretty please. I included this to my Valentine’s Day blog post as well as one of my favorite Valentine’s gift idea. Great post, thank you! I love it! 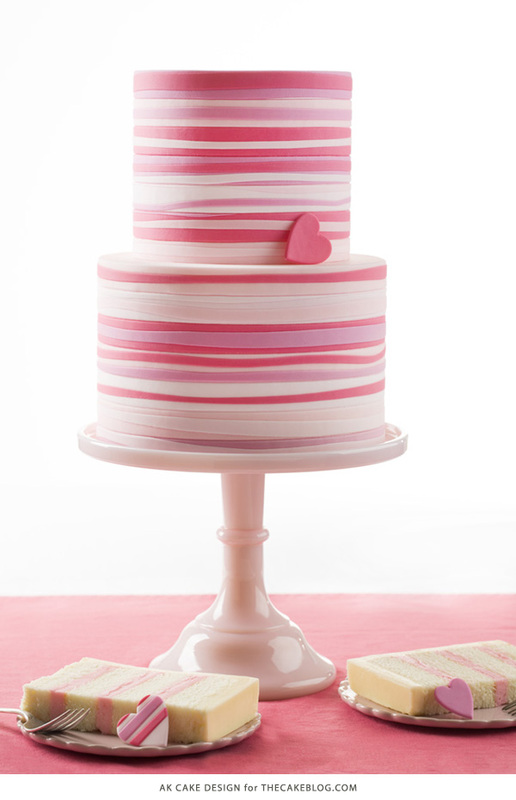 I just love this design, but unfortuntely did not understand how to apply the stripes to a cake…. I would apprecciate if you could explain the next step to cover a cake. 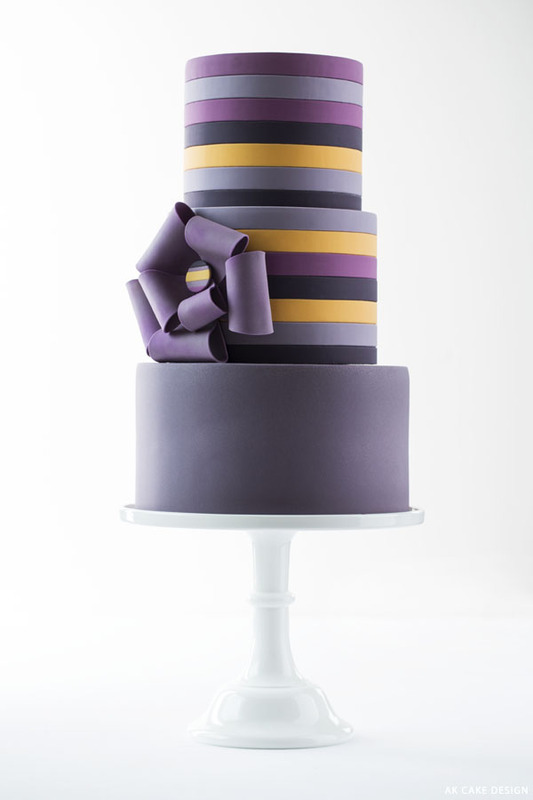 Is the cake covered with the wrapping method after the stripes are made?